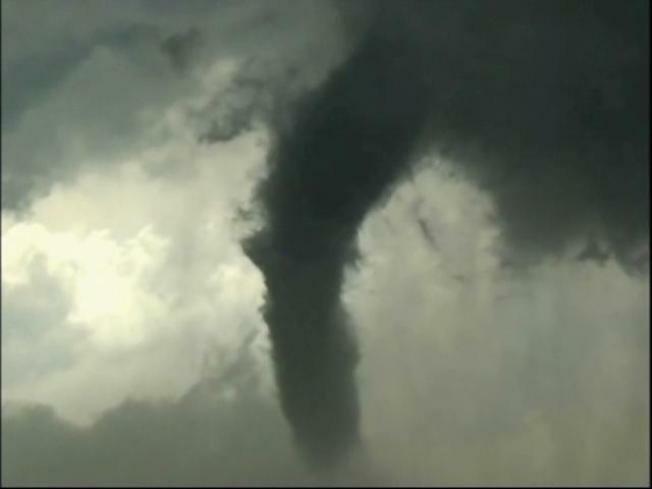 Officials in St. Mary's County, Md., confirmed a tornado passed through Monday evening. A tornado warning for southeastern St. Mary's ended at 6:45 p.m. An initial warning covered St. Mary's and and southeastern Charles County until 6:15 p.m.
At 6:09 p.m., radar showed a severe thunderstorm capable of producing a tornado eight miles west of St. Mary's River and moving east at 30 mph. The storm has produced waterspouts over the Potomac River, according to the National Weather Service. People in the area were warned to take cover away from windows in an interior room on the lowest floor of a sturdy building. Severe thunderstorm warnings have been issued throughout the region late Monday afternoon and early Monday evening. Stay with NBC4 and NBCWashington.com for updates.